Self Learning- Extreme self-learning for wide range super-fast dial in correction. Suitable for crate engines and mild performance engines. Pre-programmed with Bolt-N-Go technology for out of the box performance with no tuning required. For non boosted engines- Normally aspirated applications only. On board fuel pump driver. Hand Held tuning module for performance tuning. 1 Fan Control and AC Input (Kicks up Idle). 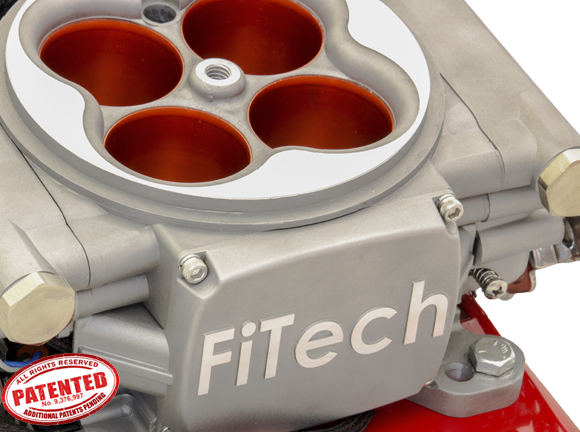 FiTech flow matched 55-lb injectors. NOTE: The FiTech is NOT CARB (California Air Review Board) approved. While it runs just as clean as a carburetor setup, it will not pass visual smog inspection in California. ---- REQUIRES 4-BARREL INTAKE MANIFOLD.